We apply over 100 years of experience in financial protection, savings, investments, and retirement to help you make confident decisions for you and your loved ones. We recognize that financial priorities change over time — that is why we are here to help you plan ahead, every step of the way. We are proudly Filipino and remain committed to serving the Filipinos, as we spread the benefits of life insurance to every family. The World of today may have changed yet our belief has always stayed the same. Everyone deserves the good. That’s why we’ve changed for the better. And move forward, leaving no one behind. And in the future, we see everyone leading a lifetime for good. InLife. A Lifetime for good. 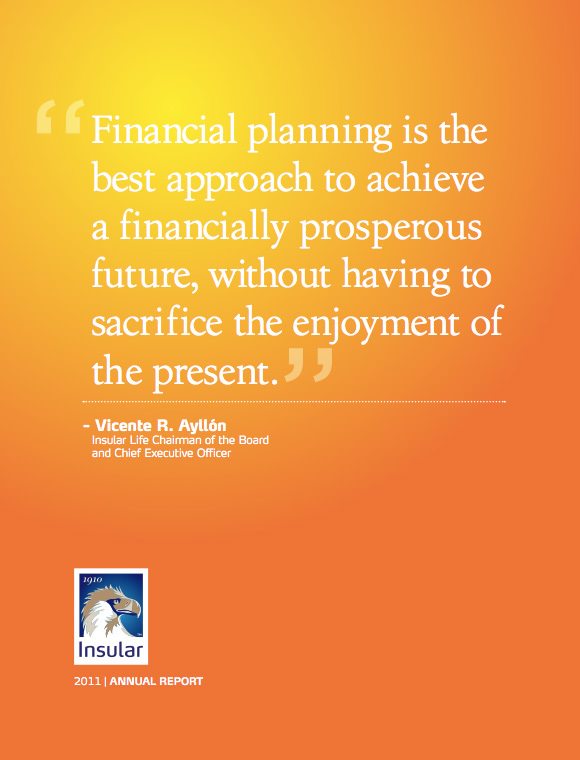 We are Insular Life, the pioneering and largest Filipino life insurance company. Our mission is to provide a full-range of high-value insurance products and other related services that empower families to attain financial security and fulfill their dreams, thus helping build a stronger Philippines. We enable our professional, customer-oriented employees and agency force to render service of the highest quality. We are experts in our core business, and we operate with excellence at all times to optimize stakeholder value. We continuously pursue strategic opportunities, and achieve sustained growth through dynamic marketing, prudent investments, and exceptional service. We honor God by touching lives through sharing our financial, human and intellectual resources to our fellow Filipinos. 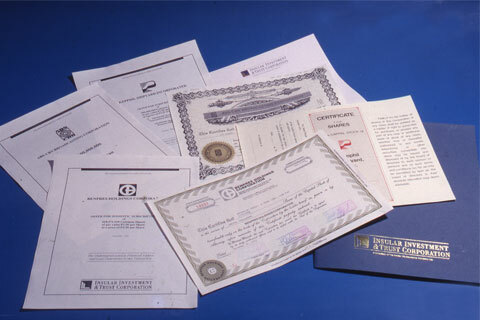 We value the trust given to us and as such ensure that we exercise fiduciary care in all our dealings. We acknowledge the confidence that the public, particularly our policyholders, places on us. We recognize that every individual is unique and possesses a distinct worth which contributes to the organization's value. We espouse a deep sense of responsibility for our work and seek continuous improvement of our people and processes. We recognize that our success in business requires a commendable esprit de corps among our people. 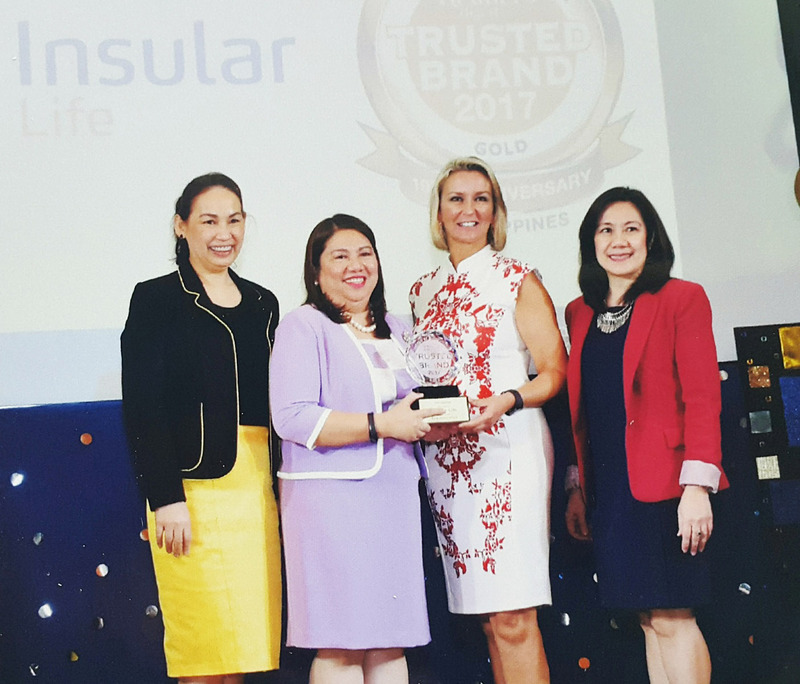 Insular Life received the Trusted Brand Gold Award for the Life Insurance Category given by the Reader’s Digest Philippines. The Trusted Brand Gold Award is given to companies that score significantly high in the following criteria: Trustworthiness and Credibility, Quality, Value, Understanding of Customers’ Needs, Innovation, and Social Responsibility. Insular Life won as the Domestic Life Insurer of the Year – Philippines, and the Digital Insurance Initiative of the Year – Philippines Awards in the Insurance Asia Awards 2017 held at the Shangri-La Hotel in Singapore on July 13, 2017. The first and largest Filipino life insurance, Insular Life, won the Domestic Life Insurer Award for being the only domestic life insurance company among the top industry players dominated by foreign-owned companies. 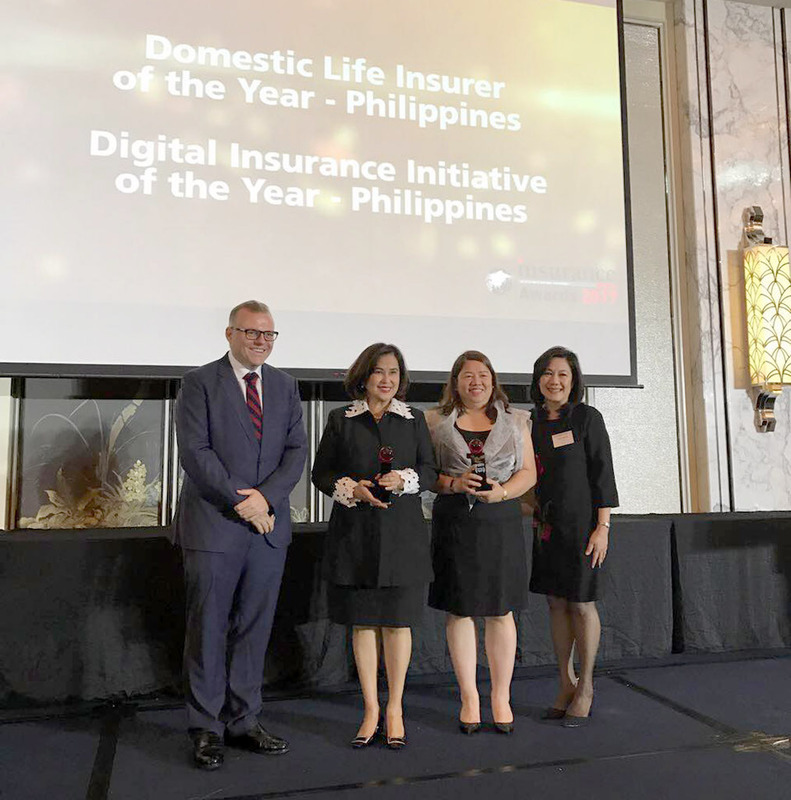 Insular Life also received the Digital Insurance Initiative of the Year Award for its Automated Underwriting System (AUS), which is a first in the local industry. 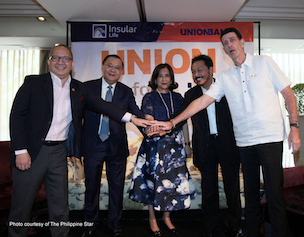 Insular Life launched a Bancassurance partnership with Union Bank of the Philippines. The company also received the following recognitions: Reader’s Digest Trusted Brand Award; and the 2017 Insurance Asia Awards’ Domestic Life Insurer of the Year - Philippines, and Digital Insurance Initiative of the Year - Philippines awards. 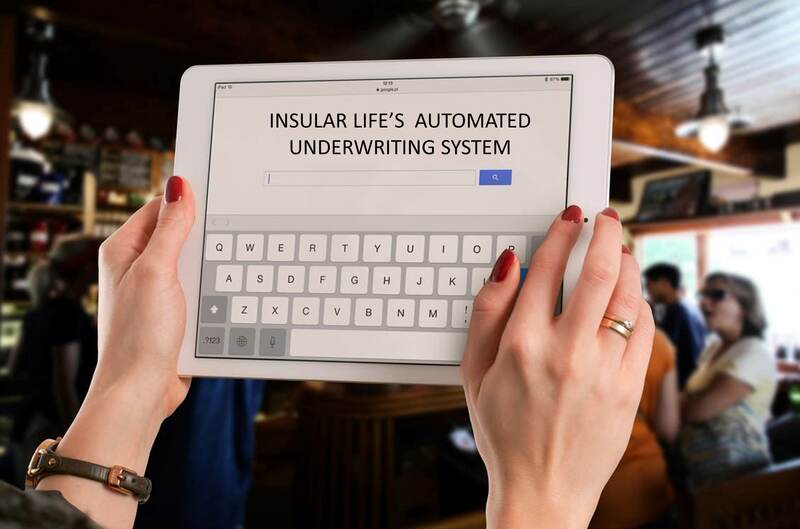 The AU System uses a rules-based underwriting engine, integrated with Insular Life’s online proposal and application tools, which equips the company to quickly render an underwriting decision during the policy application process. The AU System is accessible to the Insular Life financial advisor through the company’s online Agent Portal and is linked to Insular Life’s MyProposal system. 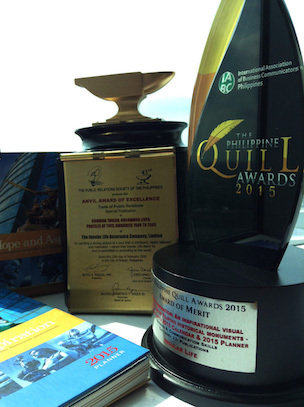 Insular Life’s 2015 calendar set, Hope and Aspiration, scored a double win: a Gold trophy in the 51st Anvil Award and a Merit trophy in the 2015 Philippine Quill Award.- Philippines awards. 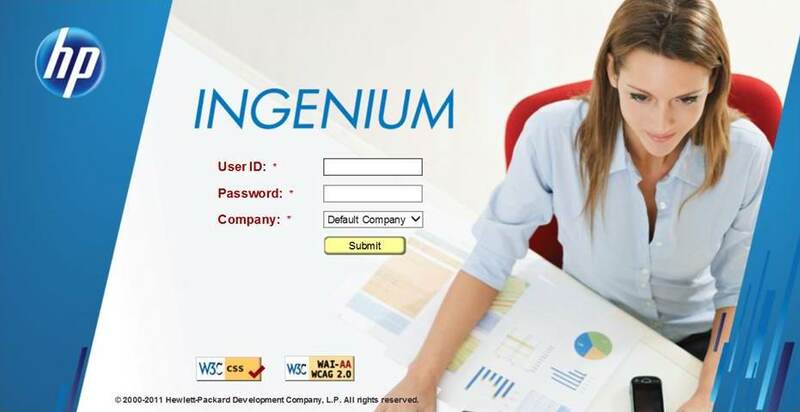 Insular Life migrated its core policy administration system to the HP Ingenium after years of preparation. It also introduced the Automatic Underwriting System to the local insurance industry. The AU System offers immediate underwriting decisions during policy application, thus hastening the process. Lea Salonga is introduced as brand ambassador. I-Serve, an online policy servicing innovation that allows policyholders to apply for a Policy loan and withdraw dividends through the internet, is launched. 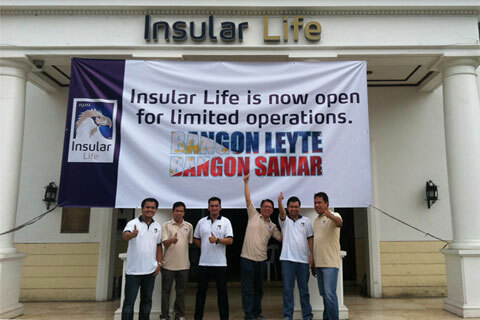 Insular Life was the first life insurance company to resume operations in Tacloban in the wake of the devastation wrought by the strongest typhoon to make landfall in recorded history, Yolanda (Haiyan), in the Visayas area. The Company quickly opened its doors to serve policyholders who were victims of the calamity. 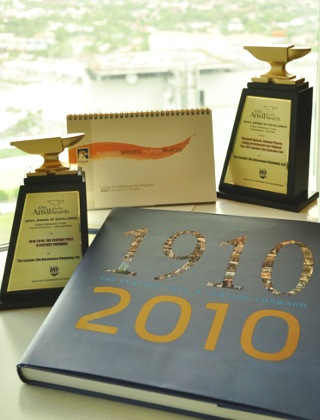 Insular Life's coffeetable book, 1910-2010: The Century Past, A Century Forward, and 2010 corporate calendar Planned Spaces, Human Spaces, Living Architecture for the Filipinos won excellence trophies during the 47th Anvil Awards. Insular Life received the Top Prize in the Communication Skills Category in the 10th Philippine Quill Awards and Excellence Award for Publication for its centennial coffee table book, 1910/2010: The Century Past, A Century Forward. 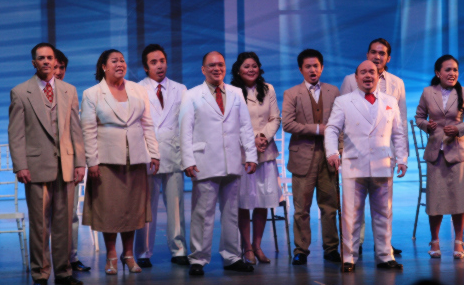 The company also received the Award of Excellence for Writing and a finalist trophy for Special Events Management (Internal or External) of its centennial musicale, 100: Insular Life's Musical Journey in C Major; and Merit Award for the design of its 2011 calendars, Planned Spaces, Human Spaces, Living Architecture for the Filipinos from the Philippine Quill Awards. 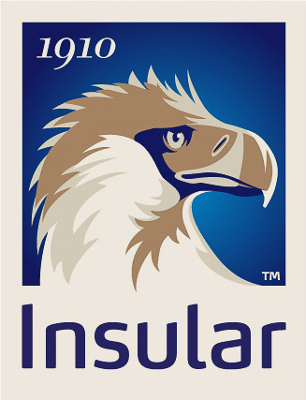 Insular inaugurated marked its centennial year, and launched its new brand identity- the Guardian Eagle. 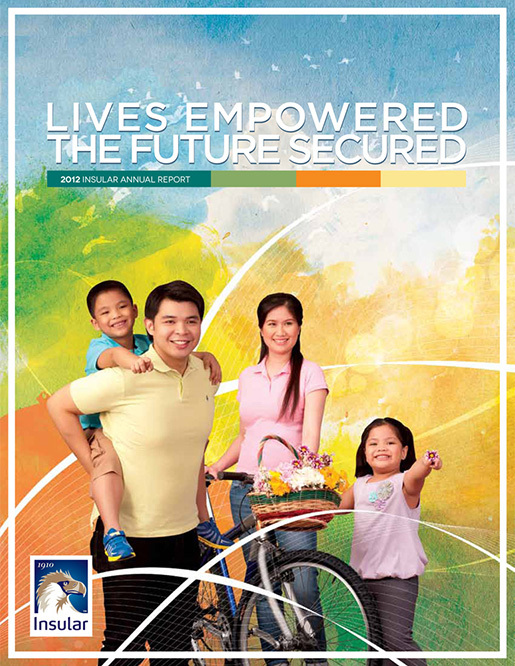 The Insular Group's consolidated assets reached ₱72 billion. The company also achieved an all-time high of ₱2.6 billion in net income. The company inaugurated the Insular Life Cebu Business Centre, a 12-storey building utilizing green architecture located at the central business district of Cebu. 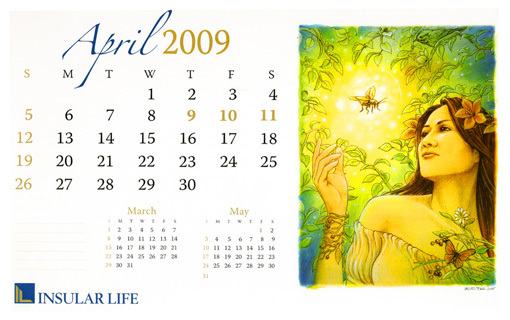 Insular was awarded a Philippine Quill Merit Award given by the International Association of Business Communicators Philippines for its 2009 corporate calendars, Alamat at Mitolohiya. 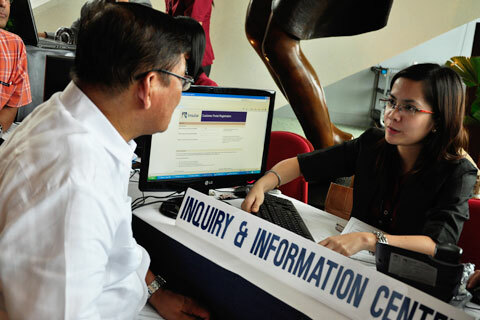 Insular Life launched i-EAGLE, the company’s web-based Customer Portal. A private and secured site, it allows policyholders instant 24/7 online access to their policy’s information and company updates; a mailbox; and i-CHAT, an online facility that enables direct connectivity with a Customer Care Specialist for real-time response. 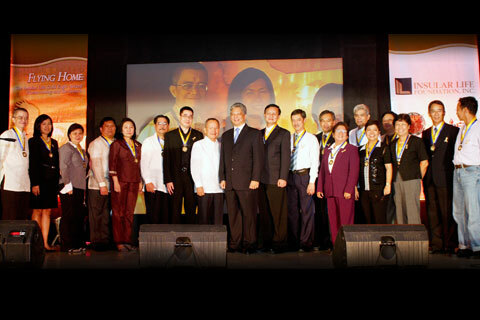 Insular Life re-launched the Insular Life Gold Eagle awards, providing scholarships to BS Education students enrolled in the University of the Philippines Diliman. 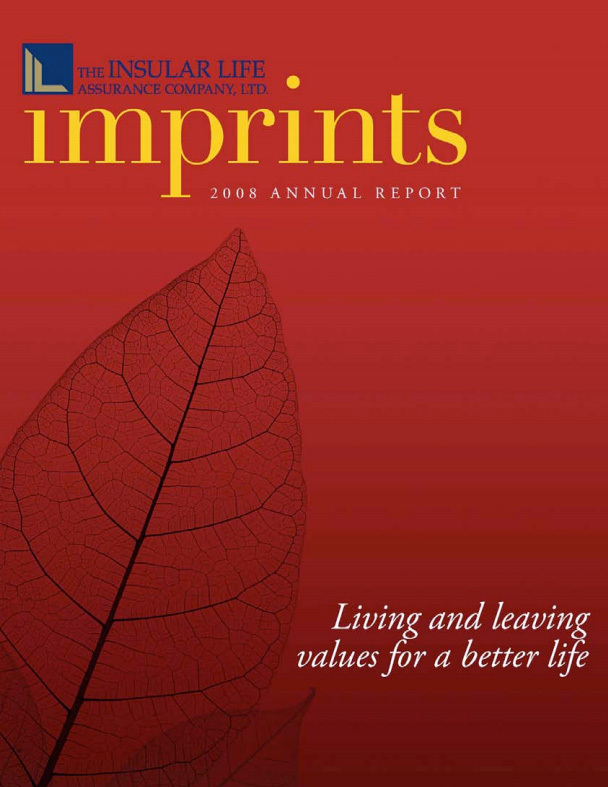 The International Association of Business Communicators Philippines conferred a Merit Award to Insular for its anniversary magazine, Pursuits: Of Inspiring Lives and the Filipino Dream. 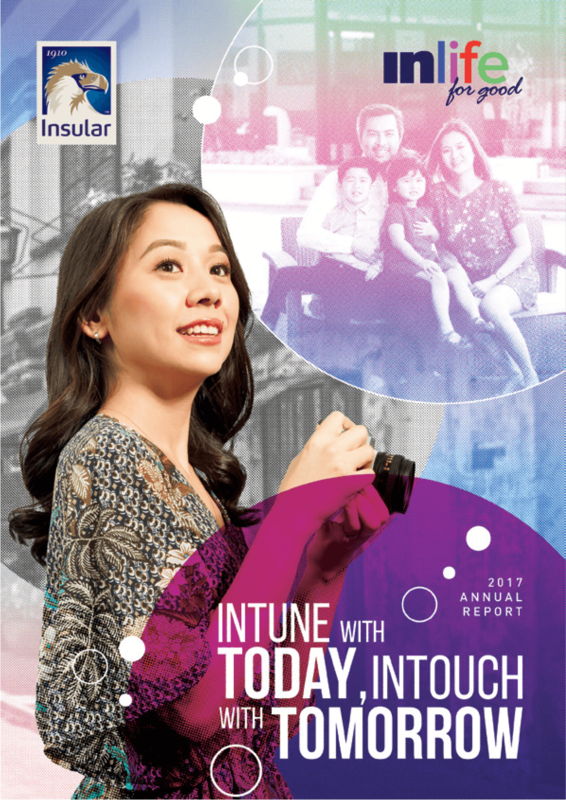 Insular launched its Magandang Araw Policy Servicing Brand, and the Magandang Araw Insular Interactive Voice Response System. 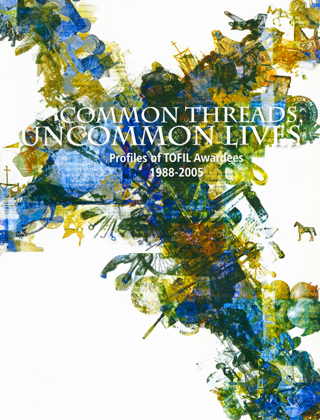 The Company received two awards for the book Common Threads, Uncommon Lives: Profiles of TOFIL Awardees, 1988-2005: a Philippine Quill Award of Merit from the International Association of Business Communicators and an Anvil Award of Excellence from the Public Relations Society of the Philippines. 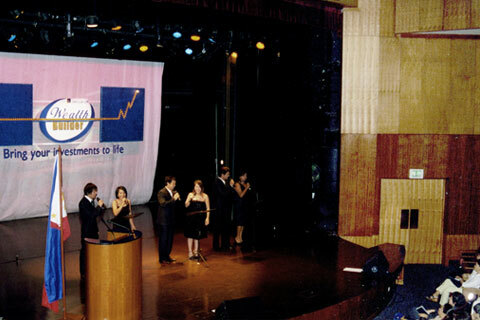 The company celebrated its 95th Anniversary. It received its first Reader’s Digest Gold SuperBrand Award. It also launched its first investsment-related product, Wealth Builder. Insular General Insurance merged with the Mapfre Asian Insurance Corporation, forming the Mapfre Insular Insurance Corporation. 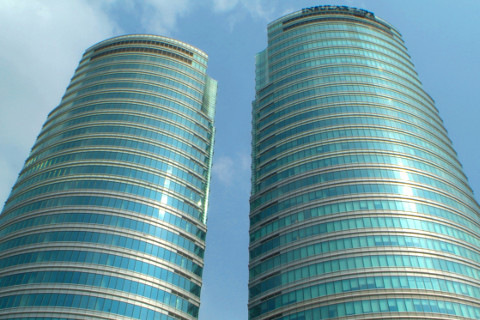 Insular Life transferred to its new headquarters, the Insular Life Corporate Centre in Alabang, Muntinlupa City. The company acquired 100-percent ownership of the AOIH and renamed it Insular Investment and Trust Corporation. 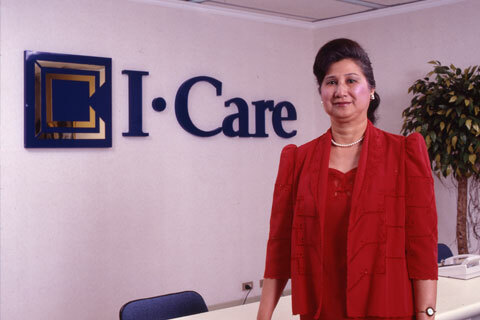 Insular Life Health Care, Inc., Insular Life's health care insurance subsidiary was established. Insular Life also acquired a 20-percent equity in Unionbank of the Philippines and a 49- percent equity in Asian Oceanic Investment House (AOIH) and a 99.9-percent equity in a savings bank later renamed Insular Savings and Trust Company. Insular Life embarked on an investment diversification strategy intended to expand the range of financial services to offer clients, as well as provide opportunities for profit and growth. During the year, the company also adopted a new logo, using the Company initials "IL". 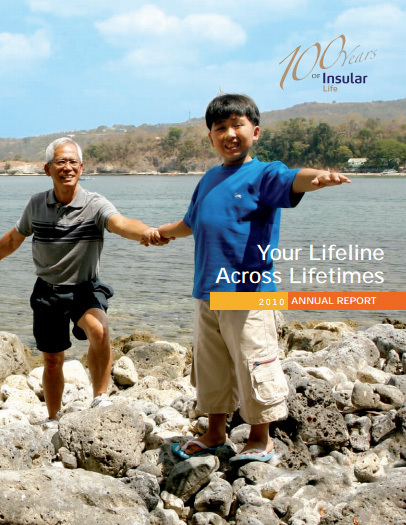 Insular Life became a fully-mutualized company. The Office of the Insurance Commissioner approved the Mutualization Plan of Insular Life, making it the first Filipino life insurance company to mutualize. 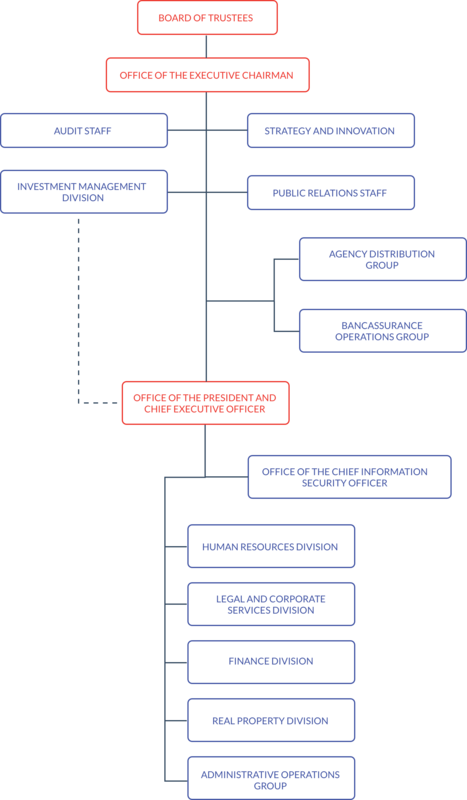 Mutualization would transfer ownership of the company from its stockholders to its policyholders. 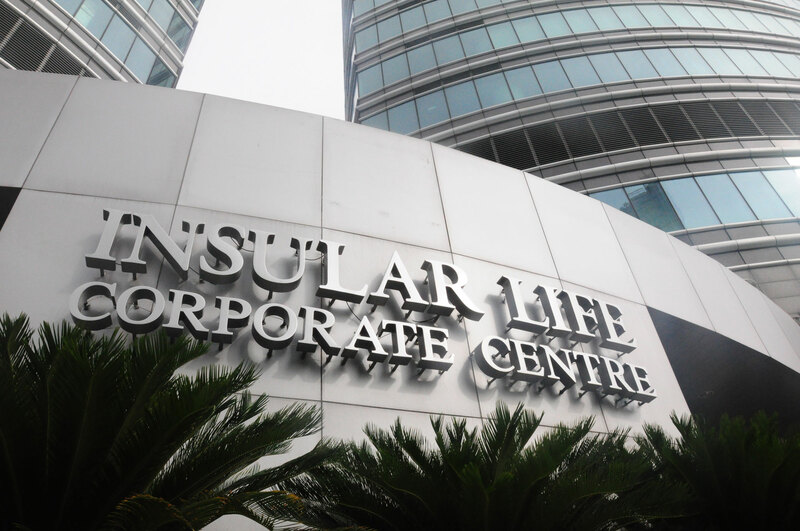 Insular Life offices transferred to its new building at Ayala Avenue corner Paseo de Roxas Avenue in Makati. The building was designed by renowned architect Cesar H. Concio. 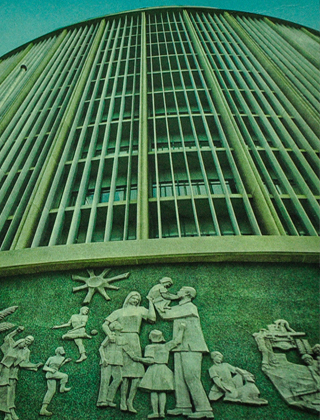 National Artist Napoleon Abueva installed the bas-relief depicting Philippine history, industry and culture on the facade of the building. 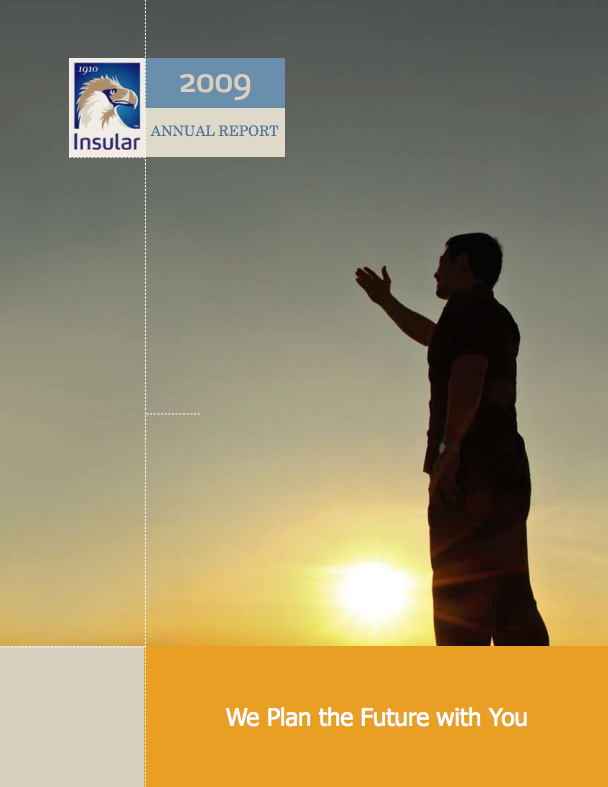 Insular Life introduced industrial life insurance in the Philippines. 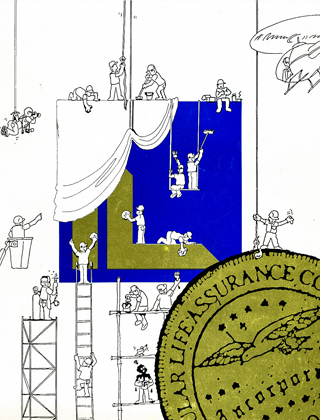 Insular Life lowered its premiums, the first insurance company to do so. It also assumed the peso business underwritten by Occidental Life Insurance Company of California in one of the biggest transactions in the local insurance industry. 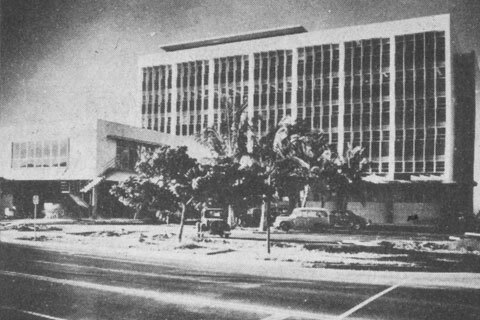 The Hawaii Division was incorporated as the Hawaiian Life Insurance Company, Ltd. 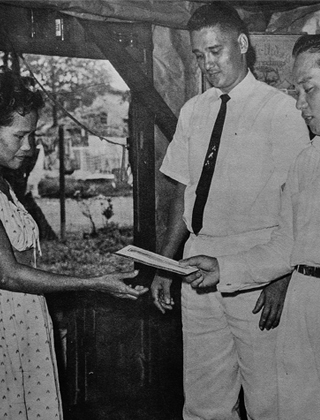 The new company was the first domestic life insurance company in Hawaii and remained a fully-owned Insular Life subsidiary. 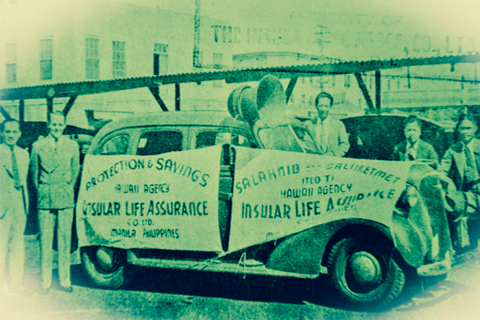 In 1955, Insular Life divested from Hawaiian Life and sold its shares of the company to the American General Insurance Group of Texas. The Company was able to get back on its feet through a special rehabilitation arrangement by the government through the Rehabilitation Finance Corporation which subscribed ₱11.7 million worth of preferred stocks of Insular Life. 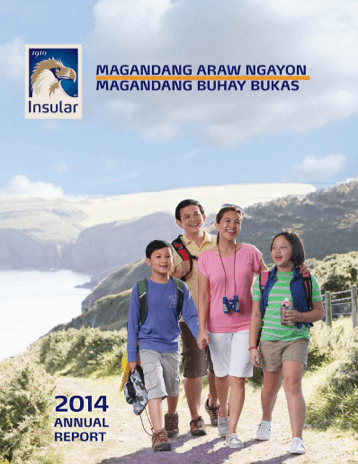 Insular Life assumed the business written by the Filipinas Life Assurance Company. 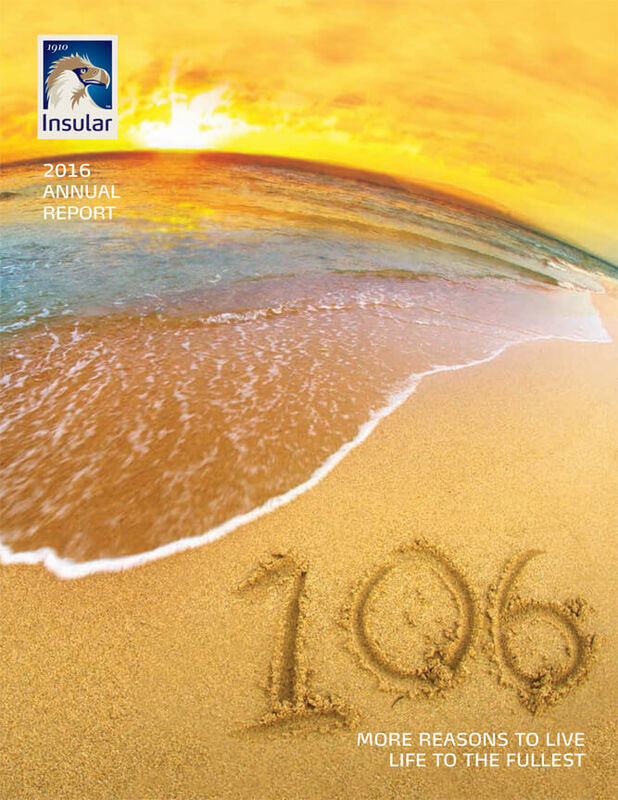 Insular Life opened its Hawaii Division. 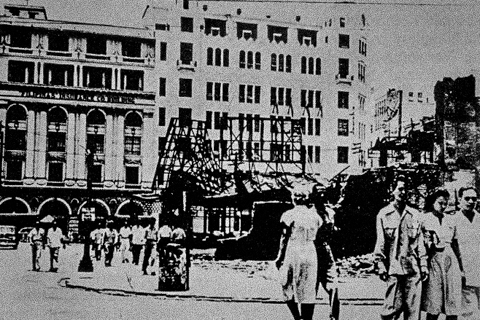 During the Second World War, the division was orphaned due to the occupation of Manila but was allowed to operate independently due to the high esteem enjoyed by the company in the American territory. 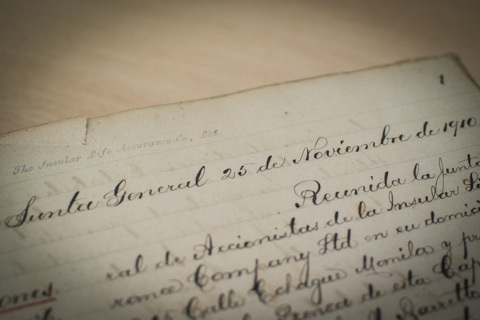 As a subsidiary it was also allowed to remit dividends to the home office, which helped the company during the war years. 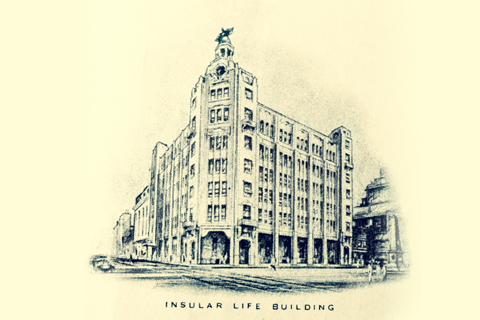 Insular Life occupied its own building in Plaza Moraga, then the best commercial and office district in Manila. 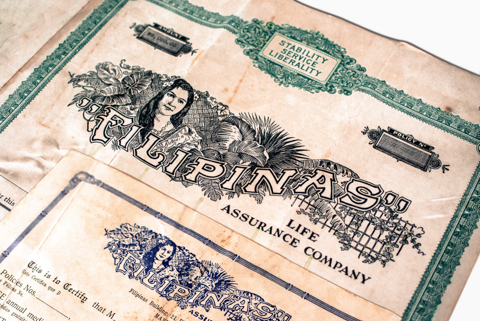 Insular Life was incorporated and organized on November 25, 1910 as the first Filipino life insurance company. 2014 | Magandang Araw Ngayon, Magandang Buhay Bukas. 2012 | Lives Empowered, The Future Secured. 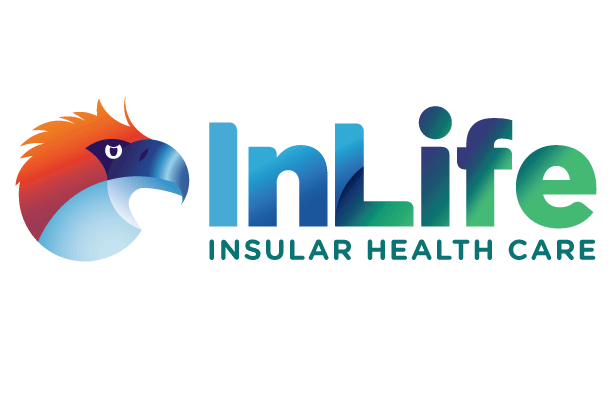 Insular Health Care, Inc. is a Health Maintenance Organization (HMO) that provides only the best managed-care program, facilities and services to its members and has one of the industry’s most comprehensive health care programs in the market today. 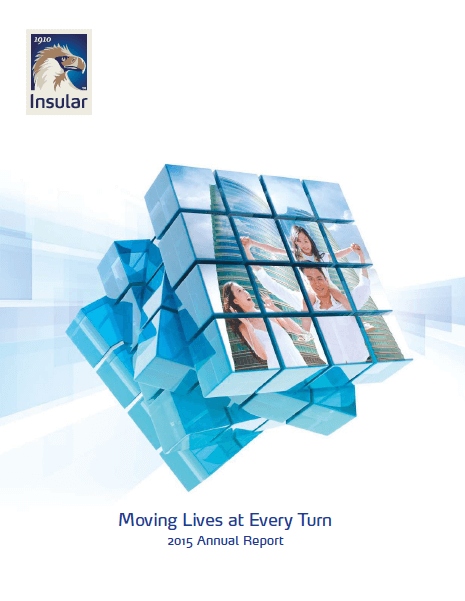 Insular Health Care has the flexibility of tailorfitting its products and services to meet the specific needs of its members. It is affiliated with 1,852 accredited hospitals, medical clinics, dental clinics and reference laboratories nationwide. It maintains 20,894 medical specialists in its roster, and has a clinic in its Makati Head Office. It maintains four provincial offices nationwide (Cebu, Bacolod, Davao and Pampanga) and operates a 24/7 call center to better serve its ever-growing clientele. The Company remains an active member of the Association of Health Maintenance Organizations of the Philippines, Inc. (AHMOPI), the recognized trade association of HMOs in the Philippines. To be the committed partner in building self-reliance in the communities we serve. To help make lives better. 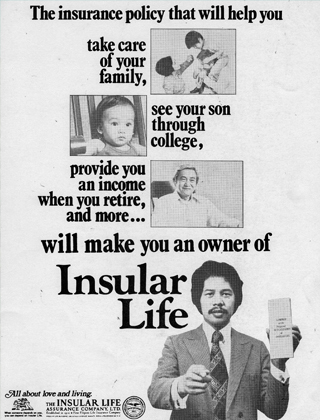 Insular Foundation, Inc., formerly the Insular Life Educational Foundation (ILEF), was established in 1963, and incorporated in 1969, as one of the first corporate foundations in the country. Since then, it has served thousands of school children attain higher education and achieve a better life through scholarship grants for college and technician courses. It also helped hundreds of teachers improve their knowledge and skills through in-service teacher training, and hundreds of principals develop better interpersonal and managerial skills to run their schools. 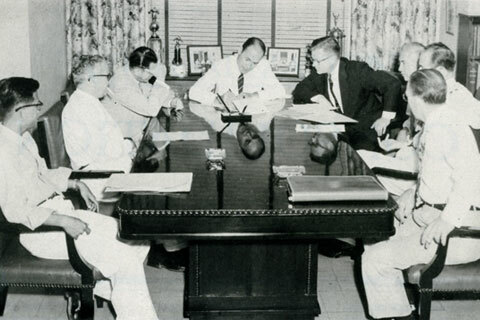 Then and now, The Insular Foundation has always believed that investing in the development of the nation’s human resources through education is a step toward making life better for our country and our people. 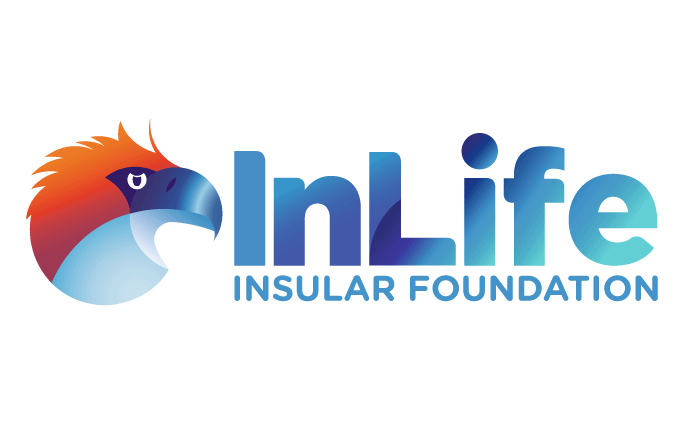 Insular Foundation’s social initiatives are dedicated to pursuing its vision of being a committed partner in building self-reliance for the various communities it serves. The following are the current programs in pursuit of its mission to help make lives better. MAPFRE Insular is a non-life insurance company which offers general insurance for optimum financial protection and risk management. Among its products and services are fire and allied lines, motor vehicle, personal accident, casualty, liability, engineering, marine cargo and surety. It is owned by the MAPFRE Group of Spain (75%) and Insular Life (25%). UnionBank of the Philippines is a publicly-listed universal bank that distinguishes itself through superior technology, unique branch sales and service culture, and centralized backroom operations. It is consistently recognized as one of Asia’s leading companies in banking and finance, ranking among the country’s top 10 universal banks in terms of key performance ratios in profitability, liquidity, solvency and efficiency. UnionBank is a partnership among Aboitiz Group, Insular Life, and Social Security System. It started operations in 1981 and became a commercial bank by January 19, 1982. Before the dawn of the year 2017, UnionBank and Insular Life, two giants in the Philippine financial services industry came together to form a Bancassurance tie-up, a distribution arrangement which allows the life insurance industry to sell its products to the bank’s client base. 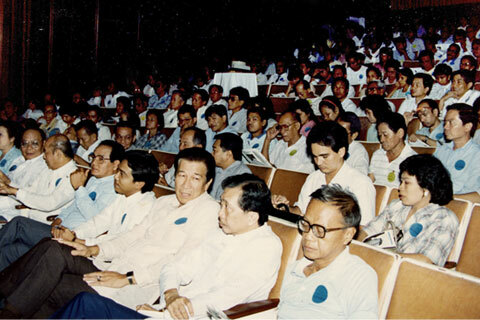 With a shared commitment of making the life of Filipino families prosperous and secure today and beyond, they have forged their resources to come up with insurance and investment solutions suited to one’s current needs and capabilities. 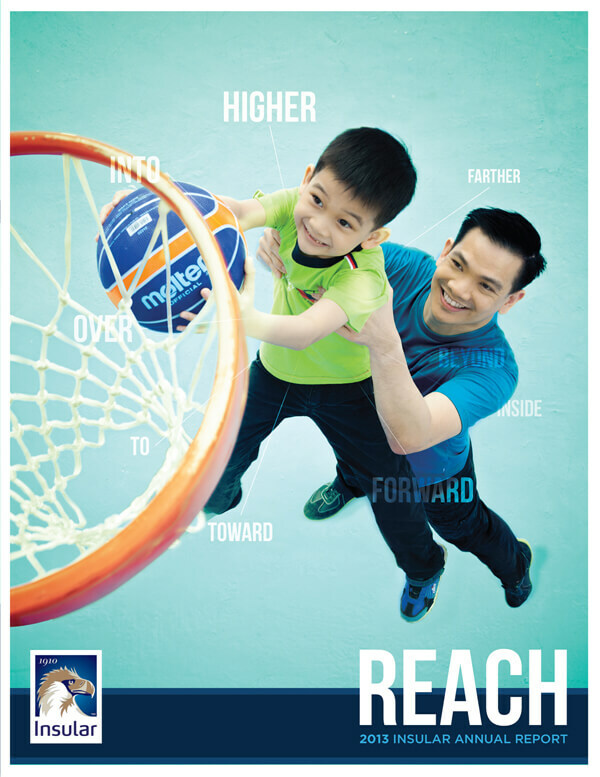 With the companies’ combined financial strength, nationwide network of locations, game-changing practices and highly capable financial advisers, the Insular Life and UnionBank partnership aims to provide best-in-class Bancassurance that works for Filipinos – a partnership that promises its clients a Union for Life.